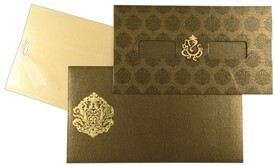 Gold “Ganesha” laser cut motif and damask watermarks adorn the main card. 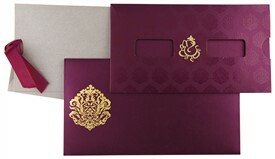 The main card 2 windows to show through names of bride & groom. 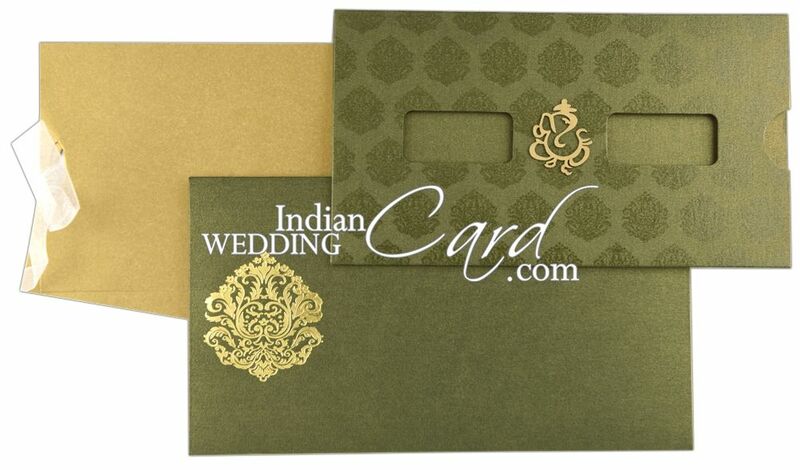 Inserts are pull-out type. 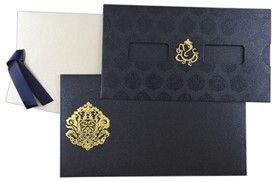 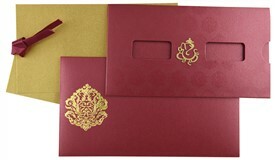 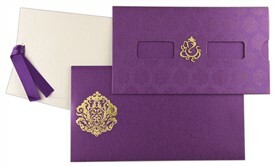 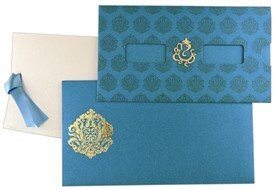 The envelope is beautified with Damask motif in gold foil. 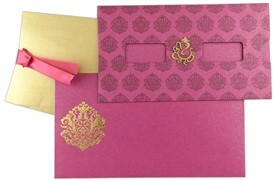 A small yet eye-catching Hindu wedding invitation! 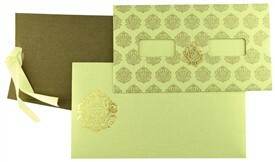 Green shimmer paper (250 gsm) for main card and envelope. 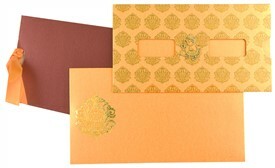 Gold shimmer paper (250 gsm) for 2 inserts tied with white net ribbon.